Unlike most other forms of childcare, a nanny is typically based at your home, and normally works exclusively for your family during their agreed hours of work (the exception is a nanny share arrangement, in which two or occasionally three families may group together to jointly employ a nanny). This means that this form of childcare is generally the most flexible option for families, and so will often be the best option for families with more than one child, especially if there are children of different ages and needs. Employing nanny also has the advantage that the parents can have a greater say in setting out their expectations for the style of care that they would like. However, employing a nanny also means that you need to understand the implications of being an employer. 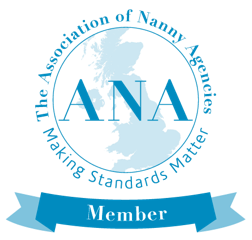 The vast majority of nannies are employed by their families, which is important to note. As an employer, there are certain responsibilities on you, such as paying the income tax and national insurance (both employee and employer) for your nanny, and ensuring that your employee has statutory employment rights such as the right to paid holiday, sick pay, a pension etc. You should always make sure that your nannies have a formal contract of employment. This protects you as the employer, as well as ensuring that your nanny’s rights are protected. Before you start interviewing nannies, it is helpful to write a simple ‘job spec’ setting out what your priorities are in terms of the duties you will expect of the nanny and the qualities you would like them to possess. For example, is it your priority to ensure that the nanny spends as much of the day as possible with your children, or will they be expected to carry out some light housekeeping duties? Do you want someone who is very self sufficient and will make up activities for the children, or will they be expected to follow the routines that you have already established? What qualities are essential, and which could be compromised on? This exercise will help you when interviewing nannies to help find the right person to suit your family. If you decide you use Happy Families to help you with your search for a nanny, we will meet with you in advance of considering any candidates, so as to help you with your thinking.